So the internet shutdowns last month briefly made Telegram the most popular application in Zimbabwe. No, it literally did become the most popular app on the Playstore, and if I’m being absolutely honest I had never used the instant messaging application. Why? Well, because all my contacts are on WhatsApp already, so it felt like a duplication. 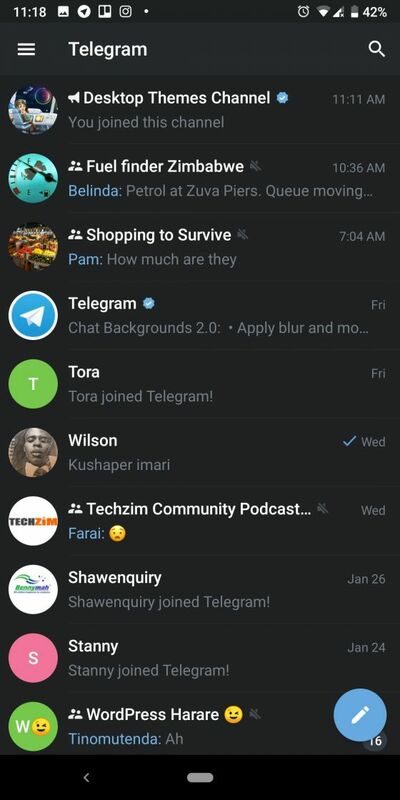 The internet shutdown made using Telegram a must and after spending some time with the application there are some ways that Telegram out-functions WhatsApp. This feature is coming to WhatsApp but right now, it’s not there and thus Telegram is cooler because of it. Apart from just looking better (to me at least) it actually serves the purpose of protecting your eyes from eye strain once it gets darker. And with the number of people who are on WhatsApp deep into the night, lord knows it’s necessary. Unfortunately, if you want eye-friendly chatting, right now it’s only available on Telegram. So if you’ve ever been in a WhatsApp group, and people are arguing about something there’s no way to settle those arguments. 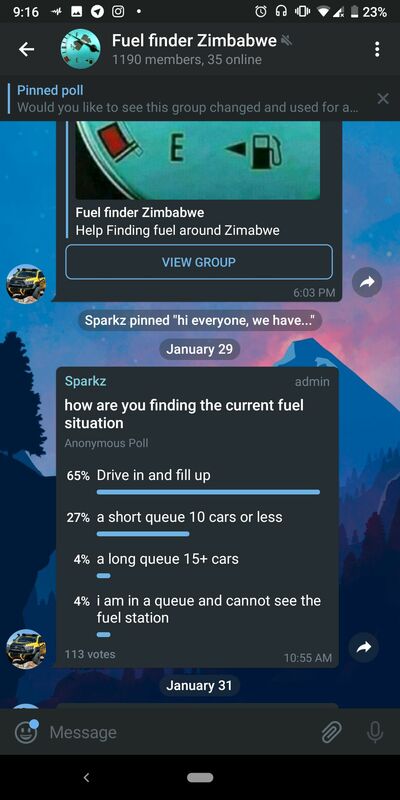 On Telegram, there’s a poll function which allows group members to create a poll that can be voted on by those in the group. The poll feature works similarly to how it’s implemented on Twitter and it doesn’t show who’s voted for what. WhatsApp is known for copying Telegram features but it seems they are yet to consider this, as we haven’t heard any rumours regarding such a feature on WA. WhatsApp introduced Stickers, a few months back and though the feature is cool, the way it’s been done on WhatsApp leaves a lot to be desired. Even Apple went as far as going on a witchhunt for WhatsApp Sticker apps because everytime you want new stickers you have to actually download an individual sticker app. This isn’t safe for a number of reasons and it’s also a pain when it comes to storage and navigation. Telegram’s sticker integration is much much better and everything is handled within the app itself. If WhatsApp had a similar system I wouldn’t have 10 extra apps in my drawer. 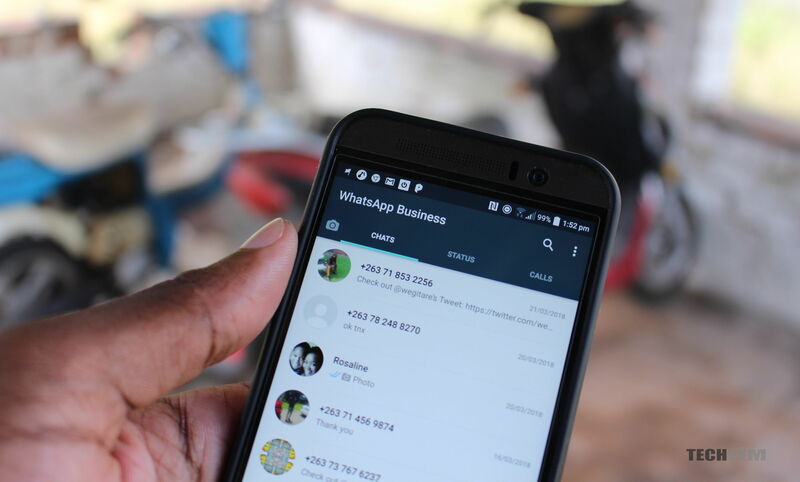 Telegram groups are better than WhatsApp groups for two reasons specifically; they allow larger audiences with groups that allow upto 200 000 members. Secondly, you can find and join groups by searching within the application. This means as long as you know the group’s name you can find it and in the event that you don’t know whether a group even exists you’re a search away from confirming whether it does or not. Channels are like broadcast lists but better. Instead of having to send multiple messages to people on your broadcast list manually every day, channels will send to everyone who’s joined at once. It’s a convenient solution, and even though WhatsApp has a similar feature with their groups where you can allow admins to only contribute, it seems people are not exactly accustomed to those type of groups yet. Maybe a simple rename will make people more accepting or even converting the Broadcast to become WhatsApp’s version of channels. Overall it seems Telegram stays one step ahead of WhatsApp when it comes to new features and their implementation. The only problem with Telegram is that MNOs don’t offer bundles for the application and as long as that’s the case it will never challenge WhatsApp. Unless of course, something extreme happens again. Oh and WhatsApp does seem to be integrating Fingerprint authentication soon, something Telegram doesn’t have, so it’s not all gloomy for WhatsApp. 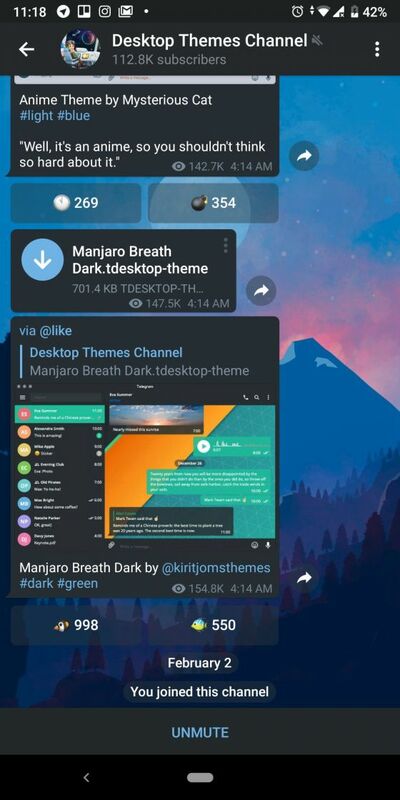 Telegram has API integrations which Whatsapp is only starting to dabble now. And there’s this new Application, just like WhatsApp, which is called Microsoft Kaizala, I think people should try it. It’s cool, and I don’t need to explain much on it, just give it a look, and see for yourself. Oh yeah that’s another one! Helped me out when I joined the fuel finder group. Its encouraging to see how quickly people learned new apps. People went from what is vpn to where can i download the best app. We mainly use whatsapp for communicating with family. Its cool to learn about new message apps. What about, “can’t be blocked”. and that of private conversation where you time deletion of messages. What about Signal Messenger App? People should try this one. The report abuse button at telegram dont work!!! Telegram is far better than Whatsapp but it is not the best app to use for your company’s internal communication. I would go with Brosix.